Home Governance Youth and Education Young people: own your destiny! 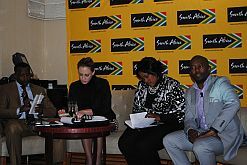 Brand South Africa held its Youth Summit on 12 June 2012. 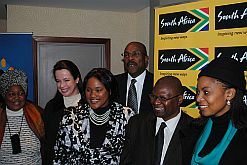 Joining the CEO of Brand South Africa, Miller Matola and Deputy Minister Obed Bapela, are Ngwanatheko Maserumule of South African Women Entrepreneurs Network (far left); Lucia Motloung the president of Junior Chamber South Africa and its secretary-general, Angel Kgokolo (far right) . 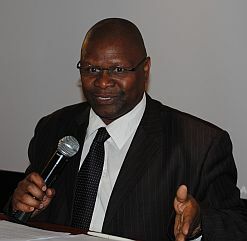 Deputy Minister in the Presidency for Performance Monitoring and Evaluation, Obed Bapela, said that the youth should understand that there is no menial job as everybody is needed for the country to run accordingly. Panellists that engaged with the delegates include: Ezra Ndwandwe of Dualpoint Holdings; Catherine Peter of One Young World; Lucia Motloung, president of Junior Chamber South Africa; and, Absa’s Sisa Ntshona. Delegates from government, big business, civil society met with young entrepreneurs and students in Sandton, Johannesburg, for Brand South Africa’s Youth Summit on 12 June, where they discussed the social and economic problems facing young South Africans today, and how the youth can take charge of their own futures. Brand South Africa CEO Miller Matola was there to give the agency’s view on youth development, while deputy minister in the Presidency for Performance, Monitoring and Evaluation Obed Bapela delivered a keynote address on the government’s role in youth development. About 100 young people, mostly entrepreneurs and students, got a chance to engage with business leaders and discuss active participation in the country and economy, building a competitive nation brand, and creating jobs for graduates. South Africa, like many other countries in Africa, has a growing population of young people and, according to Brand South Africa, the energy of the youth can be harnessed to build the economy. 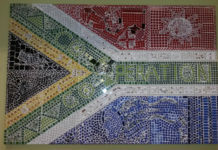 June is Youth Month in South Africa, commemorating the June 16 1976 uprising led by young students from Soweto. This year the country pays tribute to the 36th anniversary of the event, and to the pupils and community members who lost their lives in that important milestone in the struggle against apartheid. “Youth Month is a time when we commemorate the youth of 1976 who died for their ideals of equality and freedom for all,” Matola said in his address. 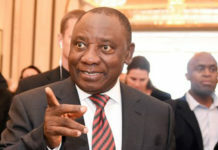 Although the efforts of 1976 were for a different cause, he said, the same level of dedication is needed by the youth of today to fight for a different cause – the fight for economic emancipation, which can only be won by tackling unemployment. “Today’s youth is liberated, but the level of unemployment among them is a social ill experienced throughout the world. Vision 2030 is a programme to promote mass entrepreneurship in South Africa. In its proposals on the economy and employment, the plan predicts that small and expanding firms will produce 90% of the new jobs needed for full employment. 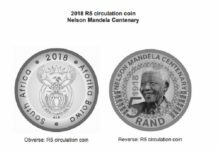 Matola also discussed Brand South Africa’s role in nation branding, which he said is our promise of who we are to the world and a promise that we need to keep, like any other brand. “A nation’s brand is also a way to attract investment as the world no longer owes us anything.” According to Brand South Africa, if young people take part in the development of the country, they will be partners in the process of nation building and not passive observers. Speakers came from a range of organisations with a focus on youth issues, and included Catherine Peter of One Young World, Lucia Motloung of the South African chapter of Junior Chamber International and Flavio Bassi from social entrepreneur organisation Ashoka Southern Africa. Ezra Ndwandwe of Dualpoint Holdings spoke about entrepreneurship, while TV personality Pat Pillai represented Life College Group and Gavin Mageni was there on behalf of Absa Bank. He also spoke about how investment in youngsters is needed and how the African Union should revisit the African Youth Charter if this is to be done properly in Africa and not only South Africa. The Youth Charter creates a legally binding framework for governments to develop supportive policies and programmes for young people, and serves to fast-track the implementation of these policies and programmes, such as investing in rapid skills development in youngsters. “The youth should understand that there is no menial job as everybody is needed for the country to run accordingly,” Bapela said. 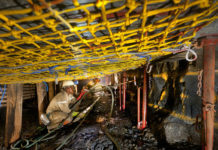 Using the example of two different professions, plumbers and doctors, Bapela cited how plumbers can earn higher hourly rates than doctors through their trade, but said young people tend to shun such skills. 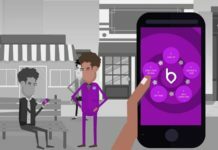 “The only difference is that most plumbers are not able to run their businesses properly; that is why they seem to be making less money than doctors,” he said. Entrepreneurship is another way for young people to become self-sustainable and create jobs for others. “Entrepreneurship is vital, rather than promoting a culture of job seeking among youngsters,” said Bapela. Most delegates agreed, with Ndwandwe citing research findings that most start-up businesses fail because of lack of funding from state organs like the National Youth Development Agency and the banks. “Entrepreneurship is overused and least understood. It is about innovators and creators of solutions that fill a gap.” Entrepreneurship is not just sitting on a street corner selling stuff, he said. Following the discussion session, delegates drew up recommendations on how to tackle youth unemployment, which will be compiled by Brand South Africa and presented to Bapela for him to take to provincial and national level.